St David’s provides end of life care to individuals adults and support for families in Conwy, Gwynedd and Anglesey. Hospice care changes lives, offering quality care, dignity and compassion for people facing the end of their life. Every year, UK hospices provide expert care and support to around 360,000 people, including adults and children with life-limiting or terminal conditions and their friends and families. This care and support is based on the belief that everyone matters all the way through their life until the moment they die, and that no one should die in avoidable pain, suffering or emotional distress. Hospice care improves the lives of people who have a life-limiting or terminal illness. It helps them to live as actively as they can to the end of their lives, however long that may be. It not only takes care of people’s physical needs, but looks after their emotional, spiritual and social needs as well. Hospice care also supports carers, family members and close friends, both during a person’s illness and during bereavement. You may also hear it called palliative care. 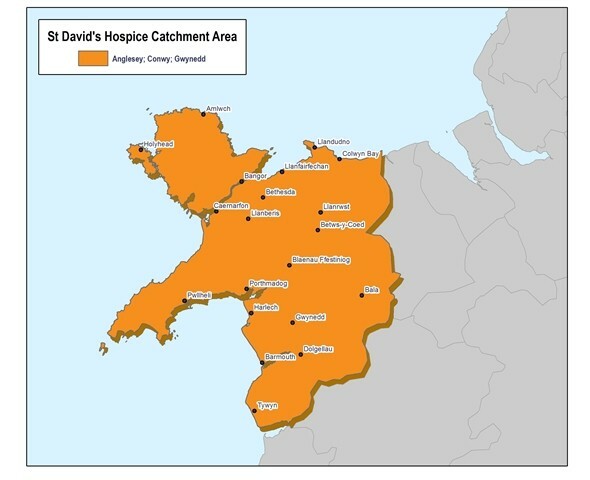 St David’s Hospice is an adult palliative care facility serving all of North West Wales (Conwy, Gwynedd and Anglesey) and is based in Llandudno. 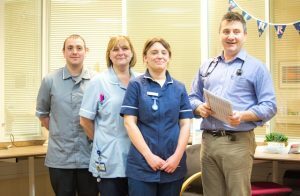 The Inpatient Unit is open 24 hours, seven days a week and has 14 registered beds providing symptom relief, respite and end of life care. The Day Therapy Centre is open four days a week for up to ten patients, and bereavement/counselling service for one day a week. St David’s Hospice is a registered charity. All care is provided free of charge. We care for adults with a terminal/life-limiting illness and support their loved ones. Hospice care provides palliative (comfort care) including physical, emotional or spiritual support. Symptom control and pain relief constitute an important part of the therapy that the Hospice has to offer. Patients and their families are cared for by a team of highly trained nurses, medical staff and other healthcare professionals. All services at St David’s Hospice are offered completely free of charge. St David’s admits patients aged 18 and upwards from across North West Wales. We support the patient and their loved ones. St David’s Hospice cares for patients with many end of life illnesses including cancer, end stage heart disease and motor neurone disease. Our Day Care and Inpatient wards have approximately 250 admissions a year. It currently costs over £2 million to run the clinical services at St David’s every year. 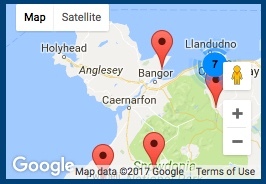 Our Hospice covers all of Anglesey, Gwynedd and Conwy, up to and including Colwyn Bay. The Hospice itself is based on Abbey Road, Llandudno (click here for directions). It is total care of the patient including emotional, spiritual and physical care. Palliation is designed to alleviate symptoms when an illness is not curable. Learn more about our care services here. Is the Hospice similar to a nursing home? St David’s is not a nursing home and we cannot provide long term care. We are a Specialist Palliative Care Centre providing symptom control, respite care, and care for those at the end of their life. Do I have to pay for any aspect of my care? No, all our services are provided free of charge. So how does St David’s Hospice receive its funding? Approximately a 16% of our annual funding comes from the Local Health Board and Welsh Government. The rest comes from our local community, mainly from fundraising events, our shops and our Lottery, legacies, individuals, local businesses and other organisations. How can I help to raise money for St David’s Hospice? We have a Fundraising Team at the Hospice who will help you plan your own event, or why not join one of the organised events throughout the year? Learn more here. Patients and carers can be referred through their GP, hospital, District Nurse or other health professional. St David’s Hospice hopes to create an atmosphere where people are not afraid to voice their concerns and to complain if necessary. For concerns with any aspect of the Hospice, please write to the Chief Executive of the Hospice, Mr Trystan Pritchard, St David’s Hospice, Abbey Road, Llandudno, LL30 2EN. It is our policy to investigate all complaints thoroughly. Contact us here.